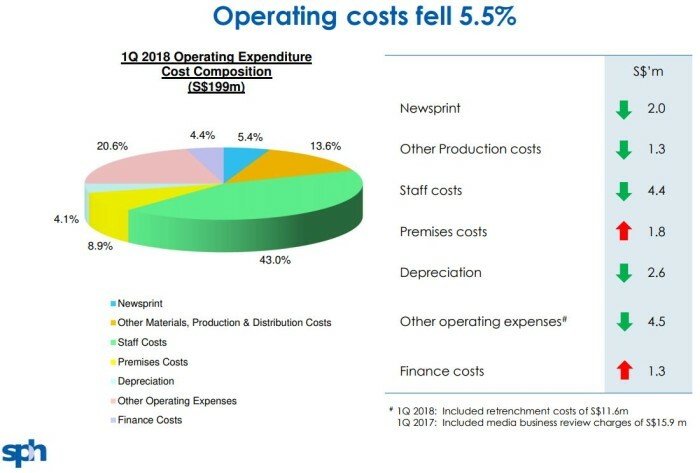 In its 1Q2018 results, Singapore Press Holdings (SPH) has shown a reduction in staff costs following its planned job cuts last year. 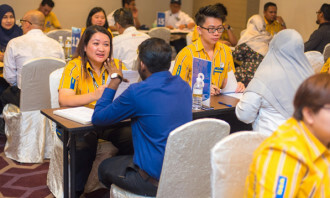 In fact, staff costs has dropped by S$4.4m – contributing to a 5.5% reduction in total operating costs. 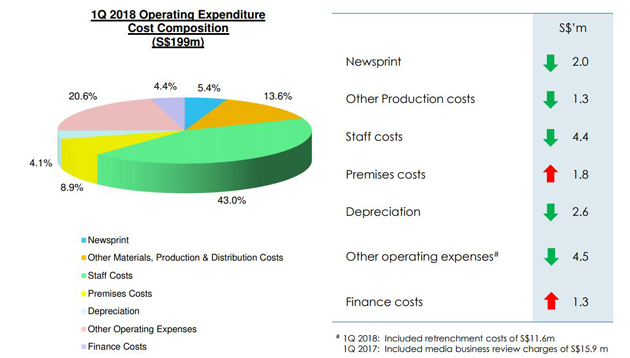 However, its premises and finance cost increased by $1.8m and $1.3m respectively. Additionally, the headcount as at end-November (excluding increase from new acquisitions) is at 3,783. 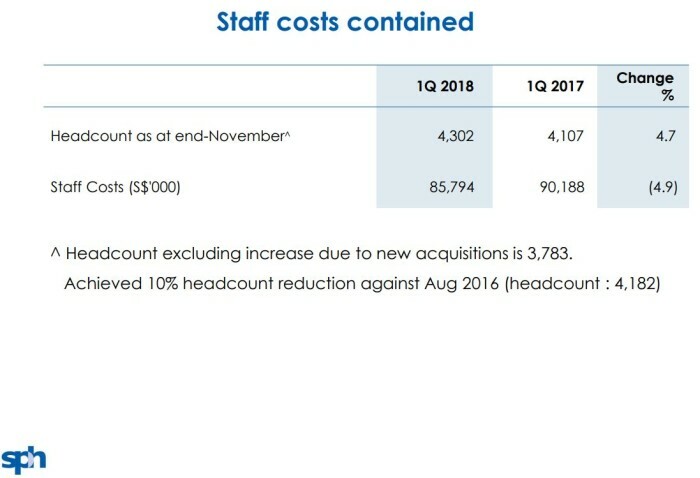 In a year-on-year comparison, headcount was 4,107 in 1Q2017. On that note, SPH has achieved 10% headcount reduction against August 2016 (when the headcount was 4,182).